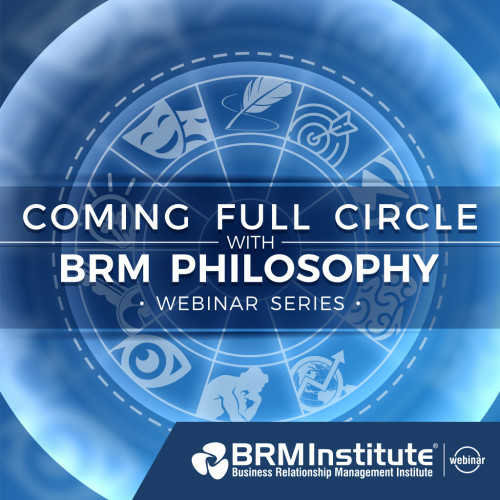 Coming Full Circle with BRM Philosophy Webinar Series: "Full Circle from Strategy to Value Recognition"
Other systems don’t close the loop between creation of strategy, it’s implementation and value recognition. BRM is the only capability that focuses on creativity, evolving culture, building partnerships and driving value. BRM ensures strategy exists at a business unit level, works to drive cross-functional solutions to achieve that strategy and then ensures value optimization and recognition. Want to know more? Join us with Maureen Jesuthasan, Senior Manager at West Monroe Partners and Terry Krafthefer Business Relationship Management Manager at Tucson Electric Power Company for this essential webinar.